1. Mixed yoghurt with crushed garlic cloves and set aside. If you have time you might want to do this way in advance as the longer the garlic stays in yoghurt, the smoother the taste will be. 2. Coarsely grate your deseeded cucumber and gherkin pickle. Sprinkle them with a pinch of salt and place them in a sieve. You can gently press with a spoon to get rid of the excess water or you can place a plate on top. Allow them to drain for a while. 3. Add grated cucumber, gherkin and Colive oil to yoghurt-garlic mixture and combine thoroughly. 4. Add salt and dried mint and mix thoroughly again. 5. Sprinkle some dried mint on top and drizzle with your Colive oil. 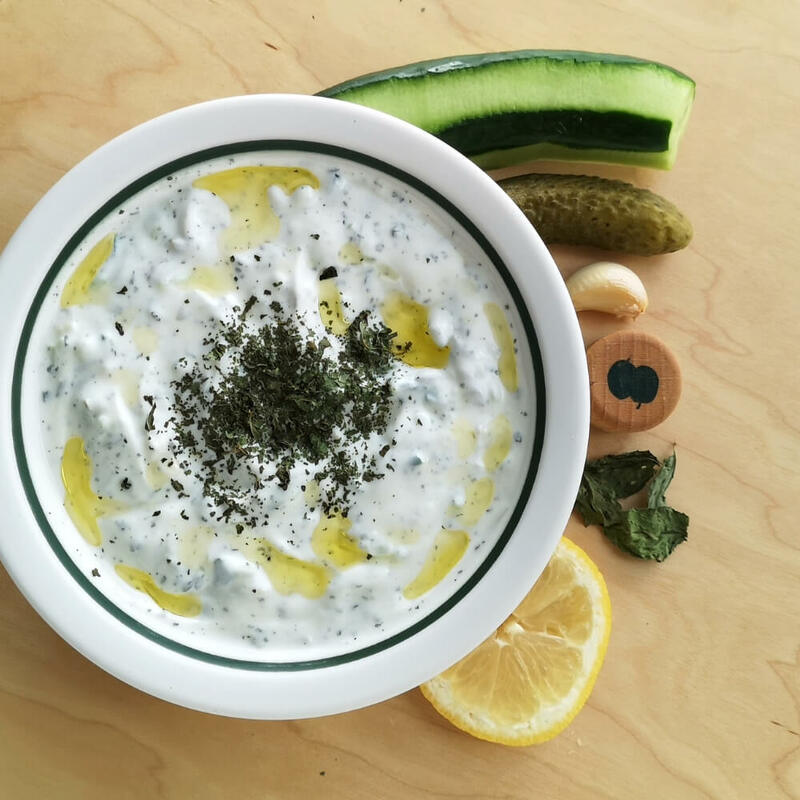 First time we saw people using pickled gherkin or cucumber in their tzatziki was in Kormakitis, Cyprus; it gives tzatziki a very nice kick . The pickles we use for this recipe are not sweet pickles, they are sour pickles.